FROSTBURG- Dora Elizabeth (Spiker) Steinly, 94. of Frostburg passed away on Sunday, July 22, 2018 at Sterling Care at Frostburg Village. 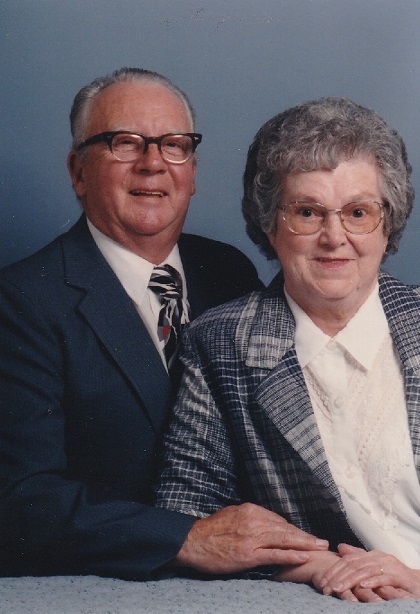 Born in Frostburg on March 13, 1924, she was the daughter of the late James and Freda (Warnick) Spiker. She is preceded in death by two brothers, James and Leo, and two sisters Evelyn and Pearl. Dora was a homemaker and a member of Salem United Church of Christ. She loved her family deeply and brought great joy and kindness to all of them. For many years, prior to her health issues, she created beautiful scarves, afghans, and baby blankets with her love and skill at crocheting and knitting. She is survived by her husband of 72 years, Ray Steinly Sr., three sons, Ray F. Steinly, Jr. and wife Ila of Florida; James O. Steinly and wife Karen; Harold Steinly and wife Janet; two daughters, Bonnie K. McKenzie and husband Regis; and Donna J. Lease and husband Raymond; all of Maryland. Also surviving are 10 grandchildren, 16 great-grandchildren, 4 great-great grandchildren, a brother, Leonard Spiker of Frederick; and a sister, Carolyn Garlitz of Frostburg. A memorial service will be held at the Sowers Funeral Home on Thursday, July 26, 2018 at 11 a.m. with Rev. Diane Smith officiating. Friends will be received one hour prior to the service.